or are expected to complete such a program by September 2018, do not qualify for the Special Entrance Examination for International students. ※Submit all documents downloaded except "Payment Handling Slip." Past examination questions for oral presentation are not available. We will provide at the window of Admissions Office of Akita University. Open Mon. -Fri. 8:30 am to 5:00 pm. Sat. and Sun. and holidays are closed. 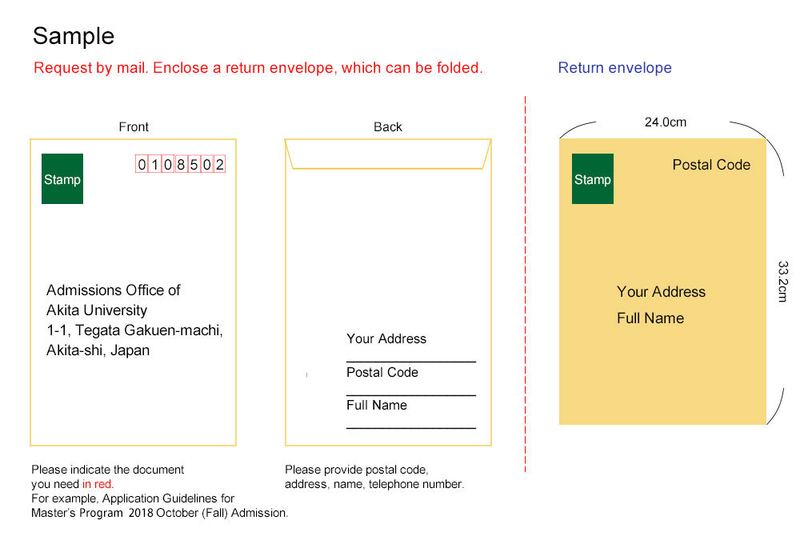 Please send a request by mail addressed to the Akita University Admissions Office with a return envelope affixed with the postage stamps. Refer to a sample provided in the application guidelines (Attachment).